When it comes to dining, food in the UK has always been synonymous with hearty gastro pub grub. However, when you consider the wealth of truly quality eateries now available right on our doorstep, the benefits of a multi-cultural society shine through. From Geek tapas restaurants to authentic sushi bars, from Indian takeaways to Turkish bistros; the world is quite figuratively, our oyster. Despite this, there is always the danger of those who will jump on the bandwagon with a newly themed takeaway, and in those cases where quality and authenticity isn't paramount, it's hard not to feel that we're slowly being saturated in diluted versions of other cultures as we attempt to establish our own niche in the food world. With this said, the bad certainly doesn't outweigh the good in terms of UK Eateries, particularly in Liverpool. This is evident in places such as Caribbean Restaurant and Takeaway Raggas. Tucked away on Smithdown Road, I was tipped off about this place by a friend who knows her ackee from her plantain! So as a culture vulture and lover of hearty food having never experienced authentic Caribbean food myself, I knew I had to try it. It's safe to say that, undoubtedly, I wasn't disappointed. With inspiration for Raggas menu hailing from Port Antonio, the range of dishes on offer represent traditional family favourites and it is utterly refreshing to be able to experience 100% authentic Caribbean cuisine so locally. Customers can choose from a selection of curries, stews and seafood dishes, and more recently even a jerk burger. Jerk chicken with rice and pea is a firm favourite and the portion sizes are spot on. Anyone new to the menu should check out the extras and sides section of the menu to load up on festivals and dumplings - the perfect accompaniment to any of the meals on offer. In terms of affordability, labelling Raggas as reasonably priced would be an understatement. A small portion of their infamous fried chicken for example is a mere £3.50, deeming it excellent value. Starting small, but expanding due to popularity and demand, Raggas now have second premises on the ever popular Lark Lane. 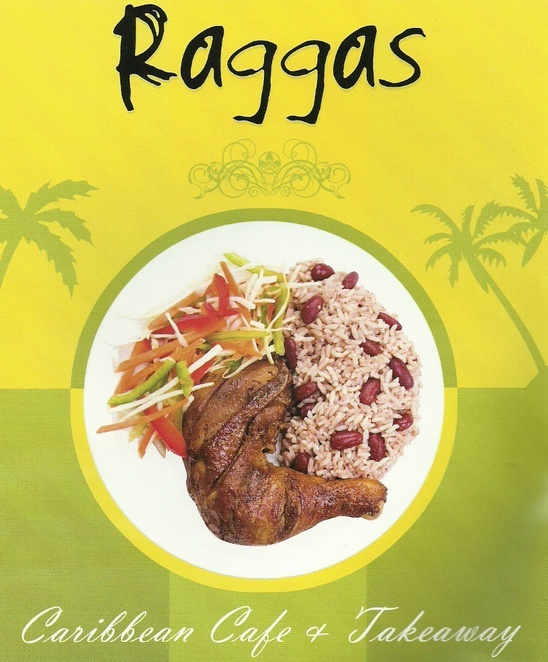 So if it's humble and hearty grub with flavour you're after then Raggas is definitely for you. Be sure to place orders in advance to avoid disappointment, as favourites tend to sell out fast.